Finished: Frosted glass bottle with crystal top cap and rod inside. 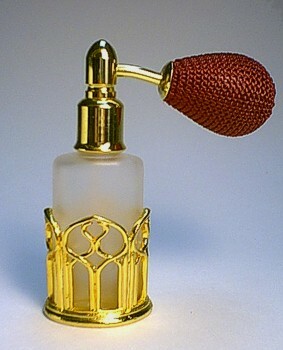 With gold plated pewter stand and elegant style squeeze ball spray mounting. Feature: Perfume refillable, Small funnel for perfume refill attached.